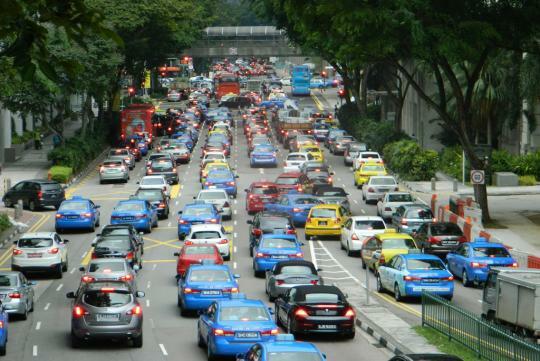 There will be 42 per cent more Certificates of Entitlement (COEs) for cars for the May to July quota, the Land Transport Authority announced on Friday. Buyers and sellers of cars up to 1,600cc and 130bhp will get 1,011 COEs per month - 41 per cent more than what is currently available to them. COEs for cars above 1,600cc or 130bhp will have 966 certificates - 38 per cent more. And there will be a 53 per cent rise in the number of 586 Open COEs available per month. These COEs can be used for any vehicle type, but ends up mainly for bigger cars. The supply of COEs for commercial vehicles will also expand by 47 per cent to 770 certificates a month. Motorcycle COE supply is the only one that will shrink. There will be 686 pieces up for grabs per month - 4.6 per cent fewer than now. On the whole, the monthly supply rises 32 per cent to 4,019. Motor traders expect this to ease pressure on premiums but do not think prices will fall by more than 10 per cent. This is because there is a significant amount of pent-up demand from motorists who have been holding off renewing their vehicles on the back of high premiums in the recent years. Time for COE prices to do slight correction? Let see how much the prices drop..